This Amazing Watch Embedded In A Ring Might Be The Coolest Thing You'll Ever See! This Amazing Watch Embedded In A Ring Might Be The Coolest Thing You’ll Ever See! Have you ever considered wearing your gadgets as your jewelry? Yes, it’s possible now. 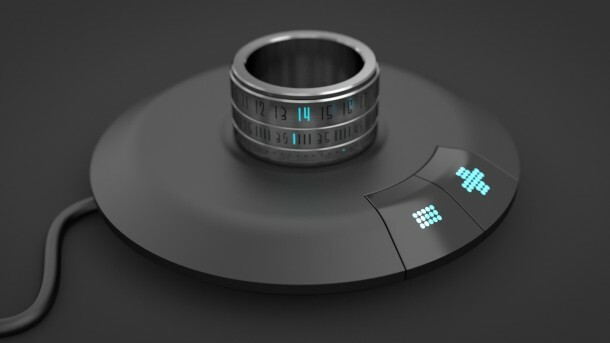 We introduce you to the futuristic Ring Clock. Now you can simply wear your watch on your finger. Made from pure surgical stainless steel, this rotatable clock gadget is a wonder of engineering. It can be charged wirelessly and is an impressive energy saver. 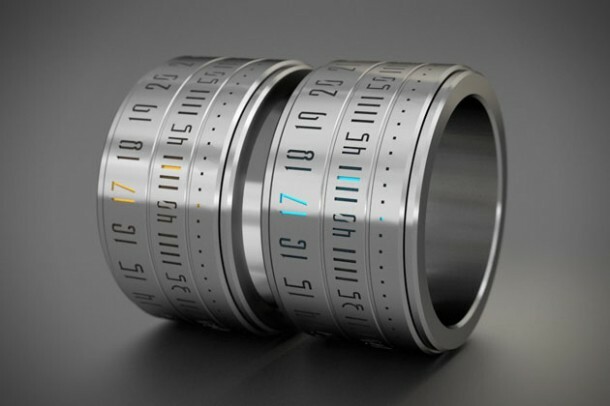 The concept watch was designed two years ago by Gusztav Szikszai and has been getting lots of attention on social media. So here is how the gadget works. The ring acts as a static ornament until the dial is rotated. On rotation, the LED displays time for one minute in blue or orange display. Future concepts will be designed to turn rotational kinetic energy into light energy, making the ring clock totally energy efficient. Gusztav says the inspiration for innovation came from a challenge called Moving Innovation. Gusztav did not like wearing wrist watches but was fond of watches in general. 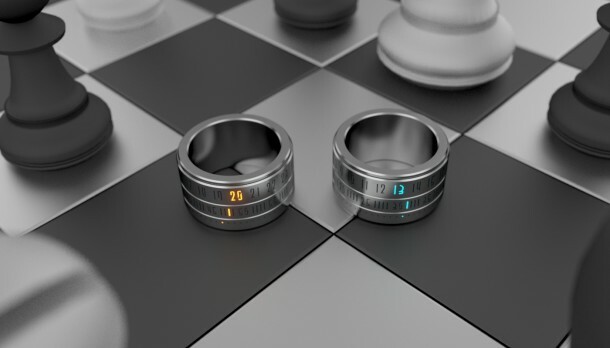 So he decided to come up with the Ring Clock that would couple style with technology. The clock’s steel body is designed to be allergy free. 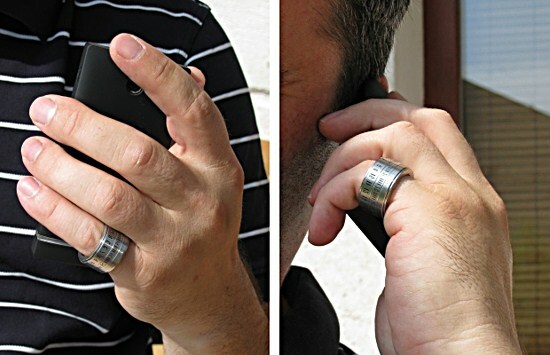 Battery lasts for 3 years and ring can be charged wirelessly from distances up to 4 cm. The owners are aiming to raise USD 287,000 from crowd funding for large-scale productions of the conceptual model. The plan is to sale a single piece for about USD 200 and an additional USD 15 for shipping outside the UK. There is something romantic about rings that must never be ignored. The Ring Clock manufacturing team has catered for this romantic side and decided to launch the “Lovers Ring Clock”: a set for USD 400. The clock comes with one year warranty and if the first batch is well received, chances are owners will probably come up with more innovative ideas for time display. No matter how or when it comes out, we think the concept is totally unique and fun! You could wear the watch to a party or a corporate meeting and make an impression on your friends and co-workers. Many people are already looking forward to placing early orders. Not only is the ring a technological wonder, it is also eye candy. In this era of smartphones, the Ring Clock comes as a pleasant innovation. For watch lovers, the Ring Clock will be the ultimate technological ecstasy. Wear your ring as your watch or your watch as your ring. Awe your friends. From where I can buy this ring. It’s awesome watch……… i love very much, I should be buy it……….